India-bound Volkswagen Tiguan has received the ‘Best In Class’ safety title in the small off-roader segment from Euro NCAP for 2016. In June this year, the car was crash tested by Euro NCAP and it received a five star rating. The agency runs test on the vehicles and checks results of four sub-areas. These are – proactive occupant protection system for children and adults, pedestrian protection and driver assistance systems. The results of these individual areas end up making the final score for the vehicle. Euro NCAP crash tests are known for being the toughest ones around the world. 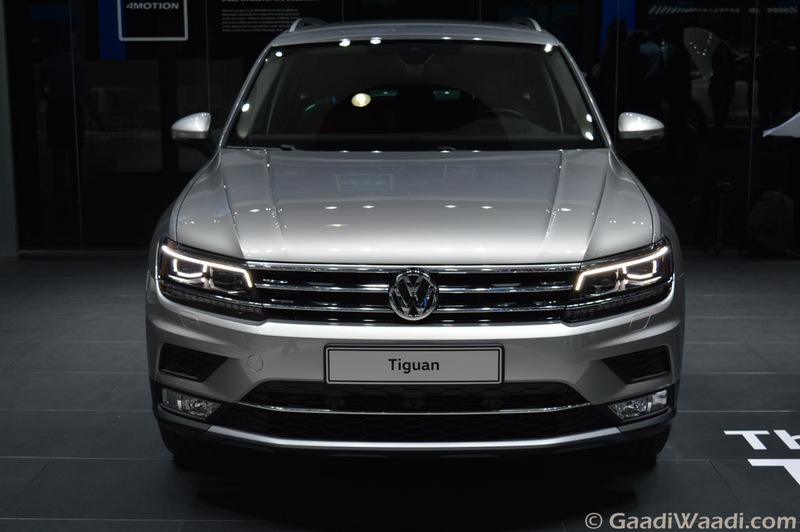 Having received 5-star safety rating by the agency, the Volkswagen Tiguan has proved itself as one of the safest cars in its segment across the world. This year, the Euro NCAP has tightened its safety standards. It introduced new child-size dummies as part of the testing equipment. And during the testing, the Tiguan showed excellent protection capability for both the adult and child occupants. It comes with an Active Bonnet feature, which reduces severe head injuries in case of a collision with a pedestrian. 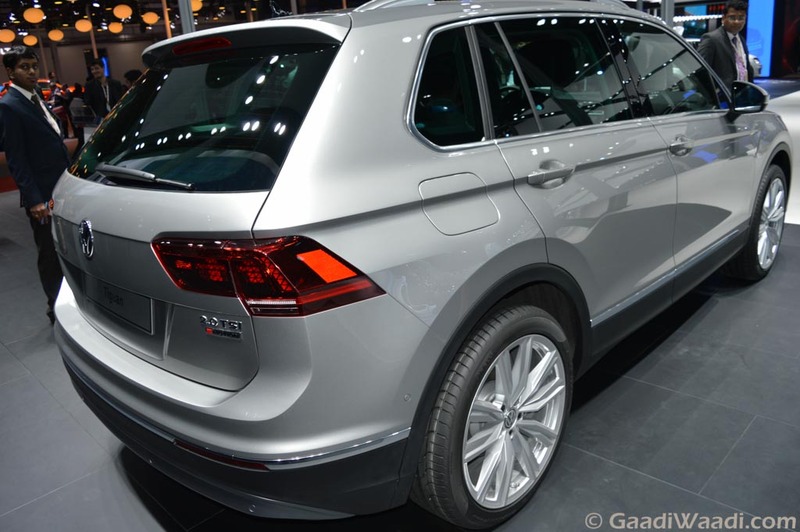 Apart from that, other safety features in the car include pedestrian monitoring, Front Assist with City Emergency Braking system, seven air bags, ABS, ESC, seat belt pre-tensioner with force limiter etc. So far, it scored 96% adult occupant protection and 84% child occupant protection which is very impressive indeed. Based on the MQB platform the all-new Volkswagen Tiguan comes pretty lightweight. The car made its debut at 2015 Frankfurt Motor Show and later it was showcased at 2016 New Delhi Auto Expo in February this year. The crossover is expected to launch in the country sometime in 2017. 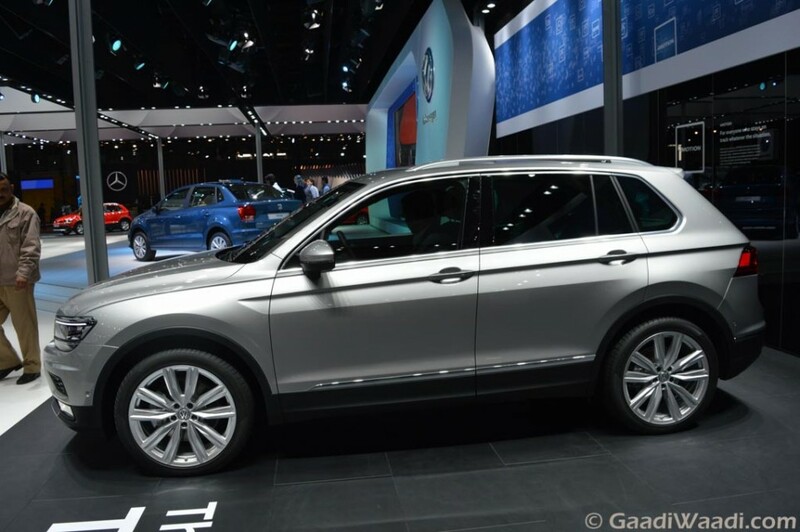 Expect the Tiguan to be priced between Rs. 25 lakh and Rs. 30 lakh (ex-showroom, New Delhi).